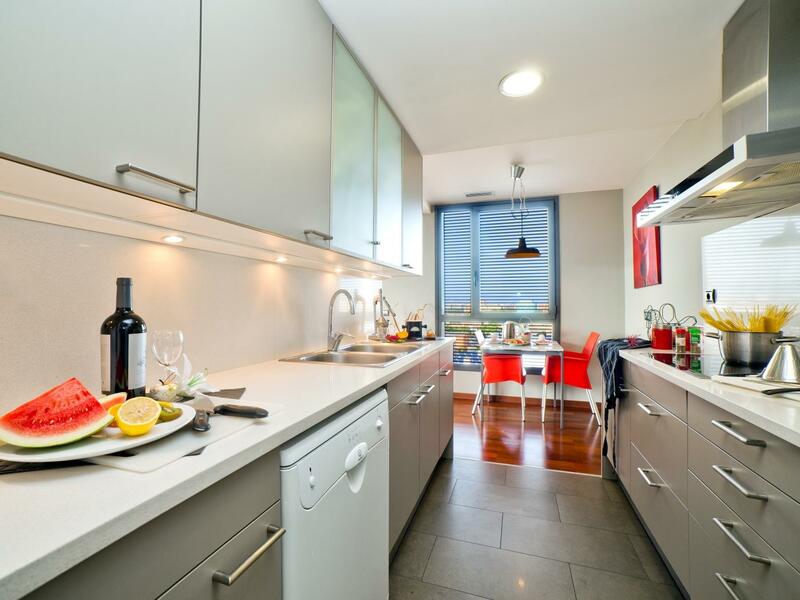 Victoria Diagonal Mar is a luxurious 140 square meters duplex penthouse with 4 double bedrooms, 2 complete bathrooms and a toilet. 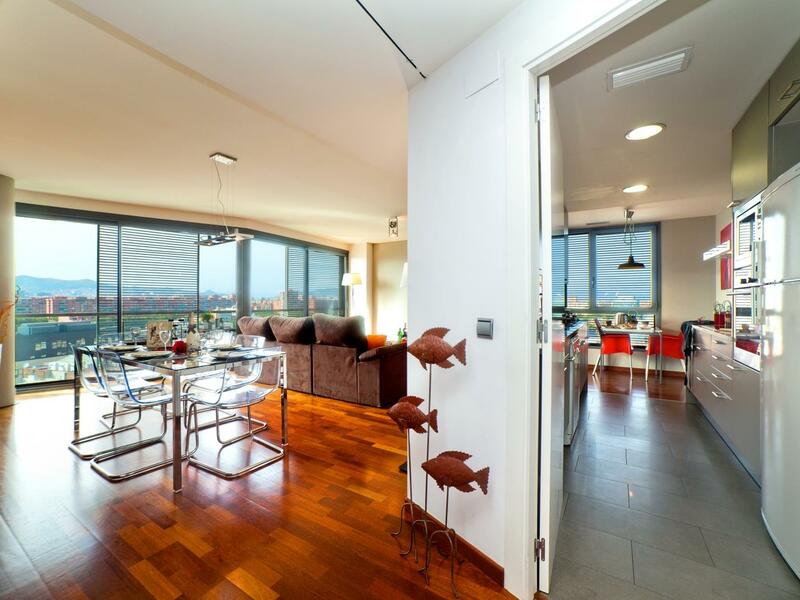 This apartment also has two small terraces that can be accessed from the living room and from the rooms. On the top floor we find the kitchen, the living room, a double bedroom and a guest toilet. All parquet floors are of tropical timber. Three sliding hardwood doors, floor to ceiling, separates the three environments. The living room is about 30 square meters with enough breadth and space to enjoy your stay. 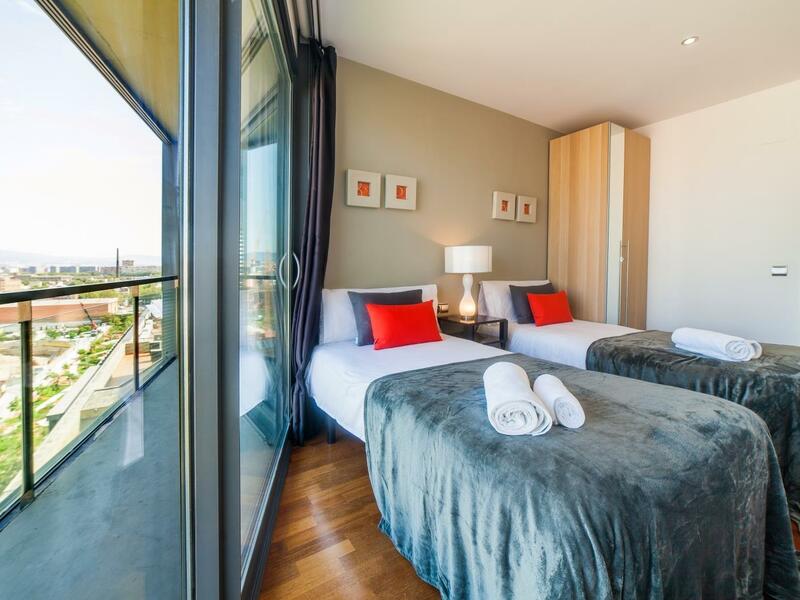 You can appreciate the panoramic views of the city through its large windows. 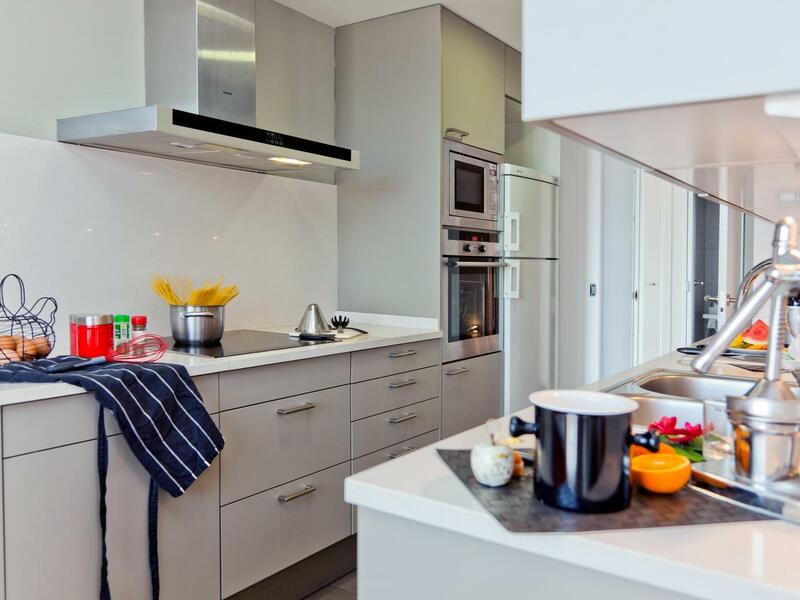 The kitchen is modern and fully equipped with all modern amenities and has an office so that guests have a better stay in Barcelona. 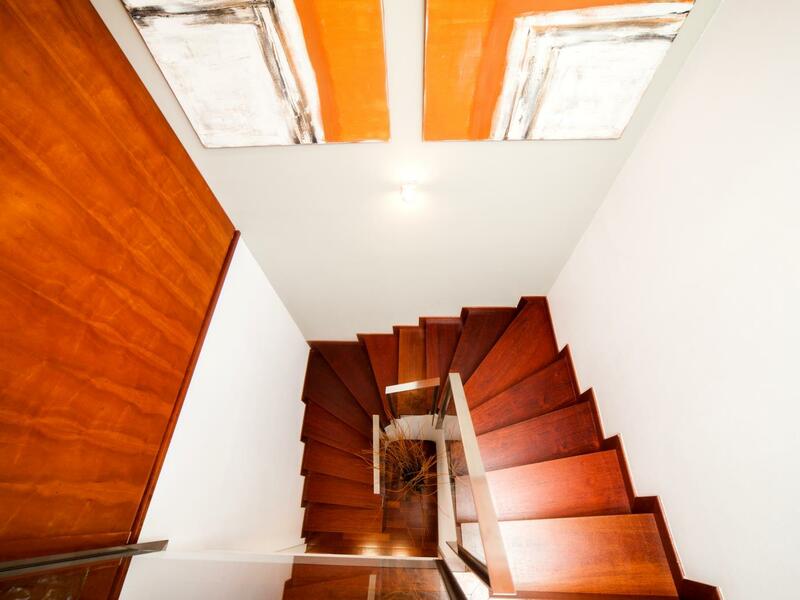 The lower floor is accessed by a large fully lined wooden staircase. 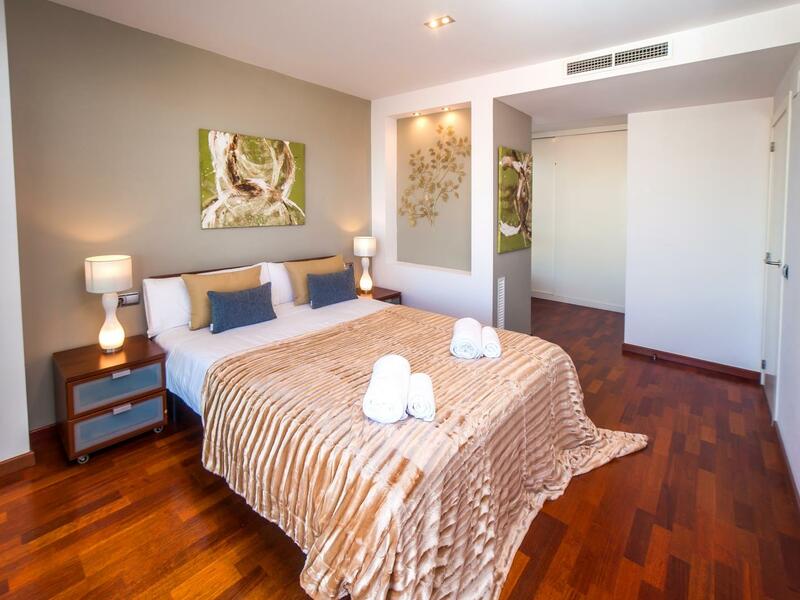 Downstairs are two double bedrooms, a bathroom and a suite with bathroom and walk-in closet. This floor also has a small area with washer and dryer. 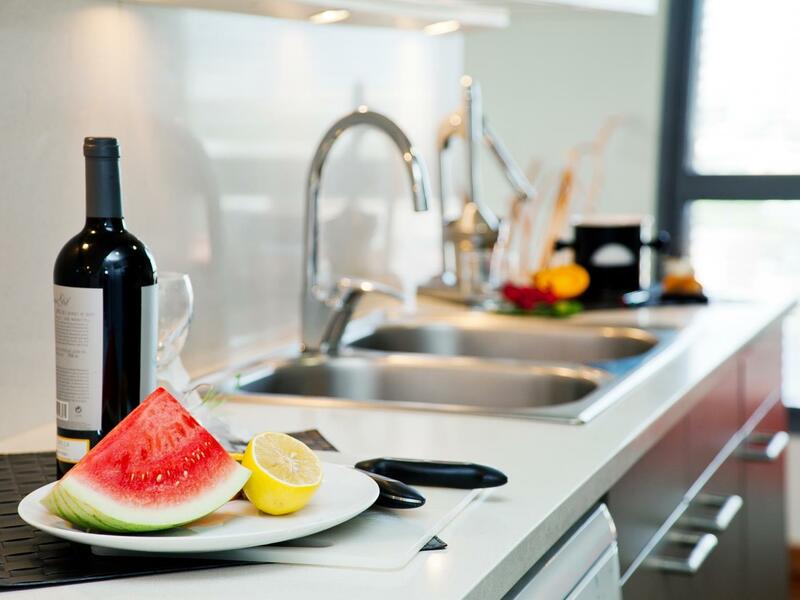 The apartment has all the modern entertainment equipment: TV, DVD, WiFi, and the necessary appliances such as washing machine, dryer, dishwashers, central heating, air conditioning, etc. 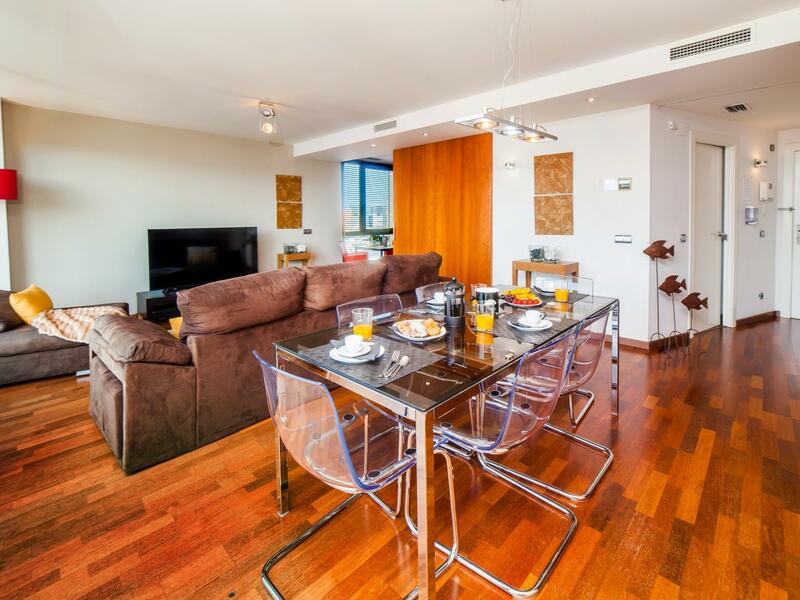 Whether for a business trip or family vacation, this beautiful apartment is ideal for your visit to Barcelona. This apartment has private parking for one car included in the price. Important: A security deposit is required. 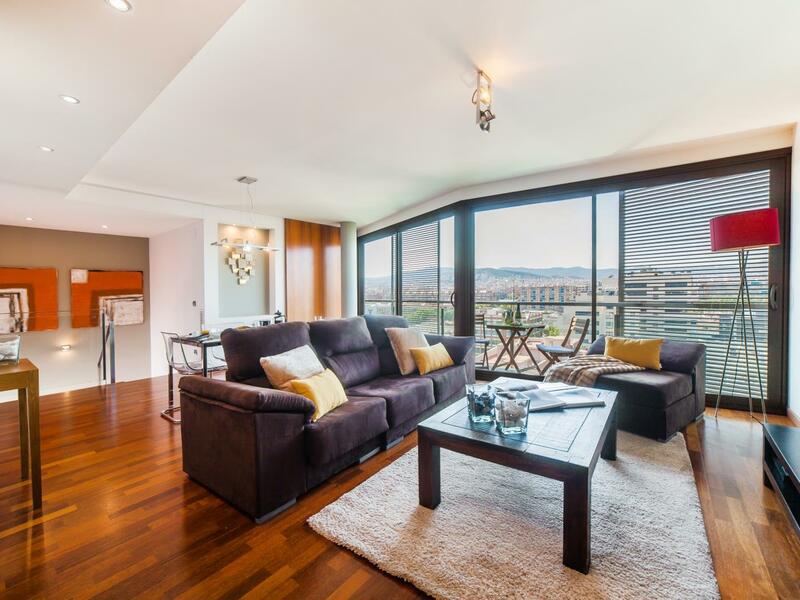 Informative notes: 1) Victoria Diagonal Mar is inside Barcelona city in a residential area and the nightly rest of other neighbors must be respected 2) The property has a 200 liters hot water tank 3) The person who signs the contract upon arrival has to be older than 21 years. 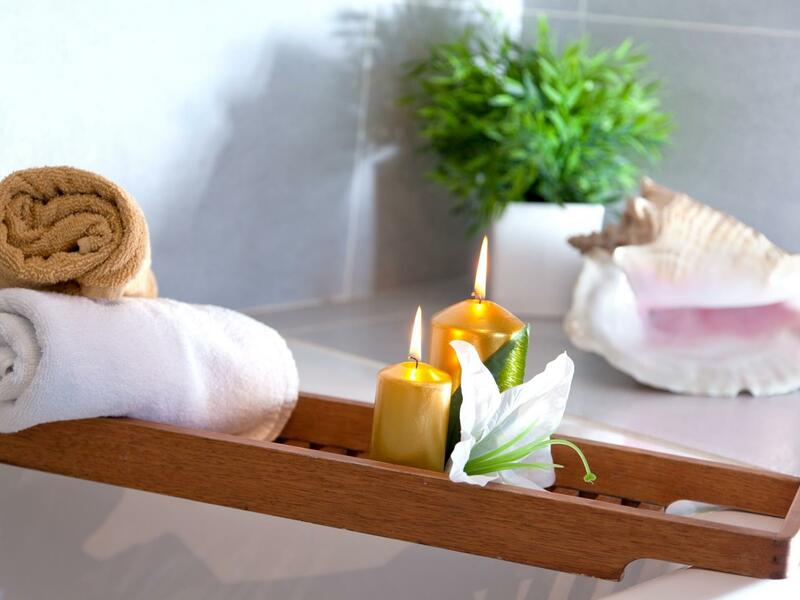 For all our guests we provide: Bed sheets, one bath towel, one hand towel per person, one hair dryer per bathroom, iron, ironing board, washing machine, dryer, dishwasher, kitchen tools, crockery and cutlery. 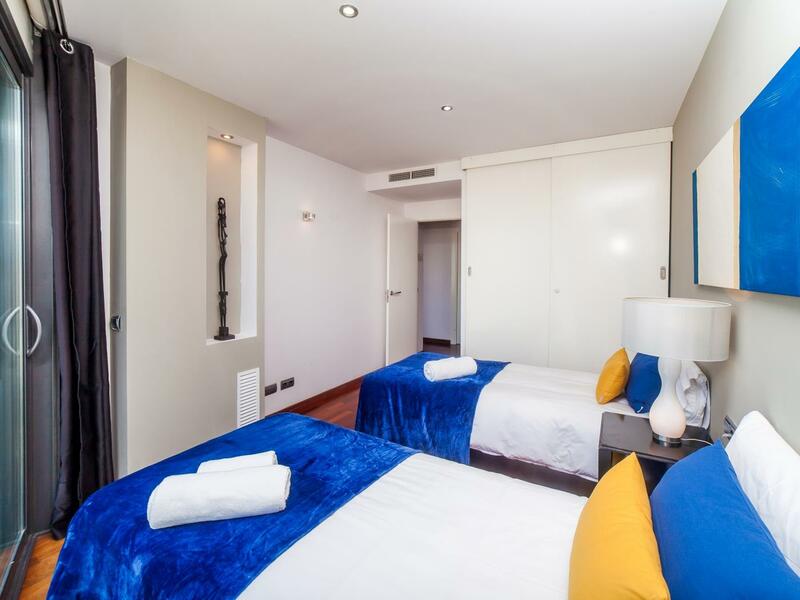 The apartment is located a few minutes by subway from the old town of Barcelona. This area is relatively new and is the result of a great job, from its architecture to finished high quality construction in the surrounding area, which offers a wide selection of bars, cafe / restaurant and one of the largest parks in Barcelona with attractions for children. The area has a fresh and cozy atmosphere, with excellent connections: subway and tram, providing access to Historical Center. Also the city center of Barcelona is within reach at all times. 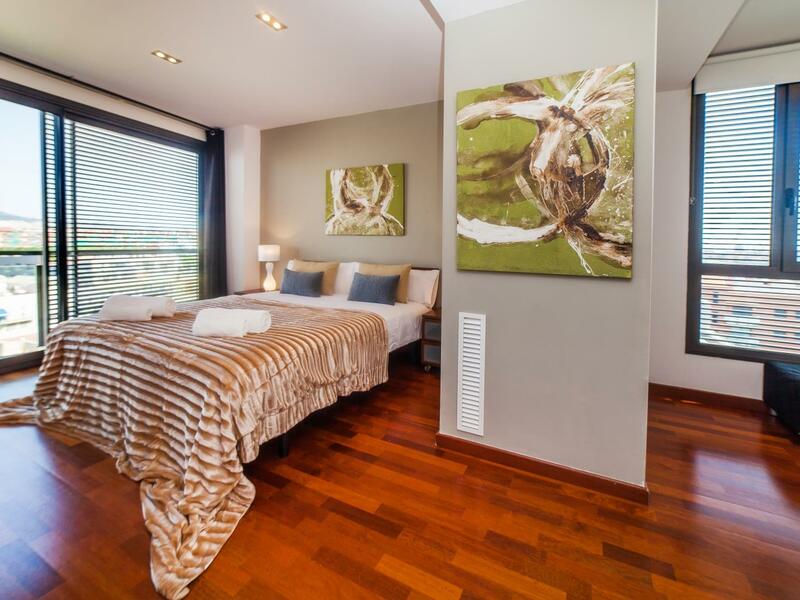 The building where the apartment is located, has been newly constructed and its presentation is modern and luxurious. The wonderful beaches of Barcelona are just 15 minutes walking, a nice option for a ride. 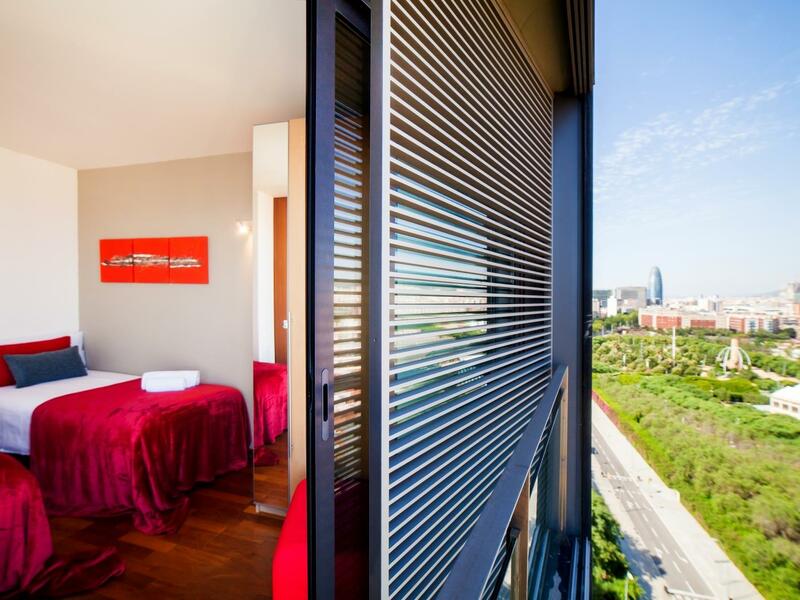 Just 12 minutes walking you will find two large commercial centers called Diagonal Mar and Glories. Excelente piso. Muy bien ubicado, en muy buen estado. Lo recomiendo ampliamente. Fantastic Appartement with a great view to the cuty! 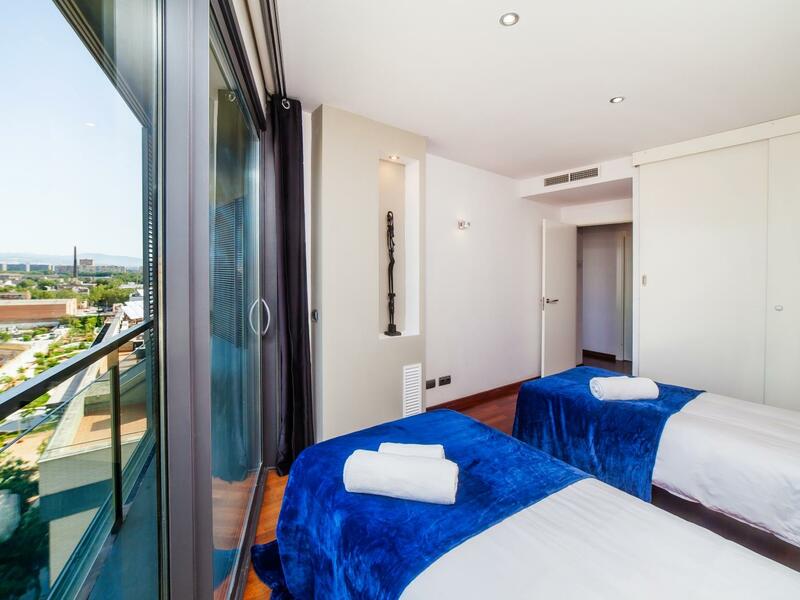 Comfortable and located in a modern sector of Barcelona. 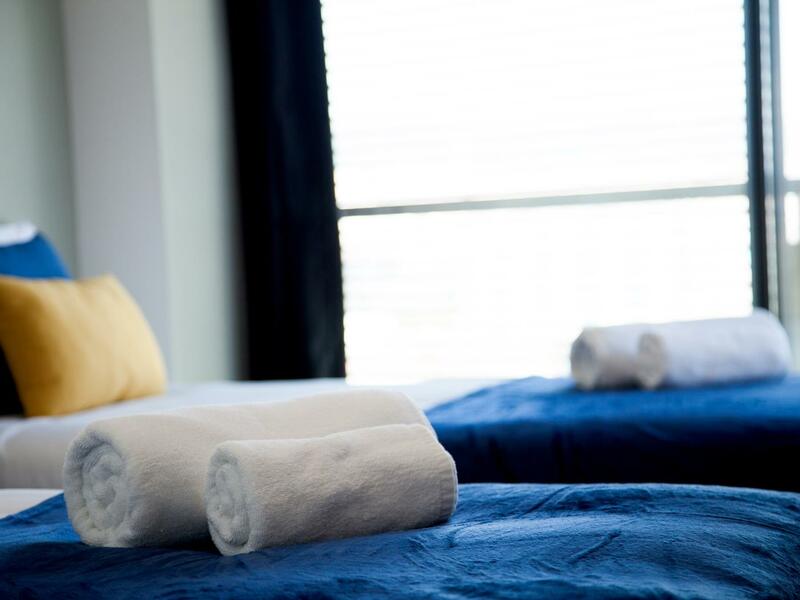 Within easy reach of all the major landmarks and nightlife, but far enough to enjoy a great night's sleep. Awesome charcutería next door where we bought loads of top-of-the-line Iberian patanegra 5J ham and great cheeses. Air conditioning was awesome and the balconies were great for relaxing. Wifi was perfect. The apartment was really nice and had a great view! We really enjoyed our stay. Walking distance from the conference center. We had four adults in the rental in town for a business conference. The apartment is quite comfortable and has great views. 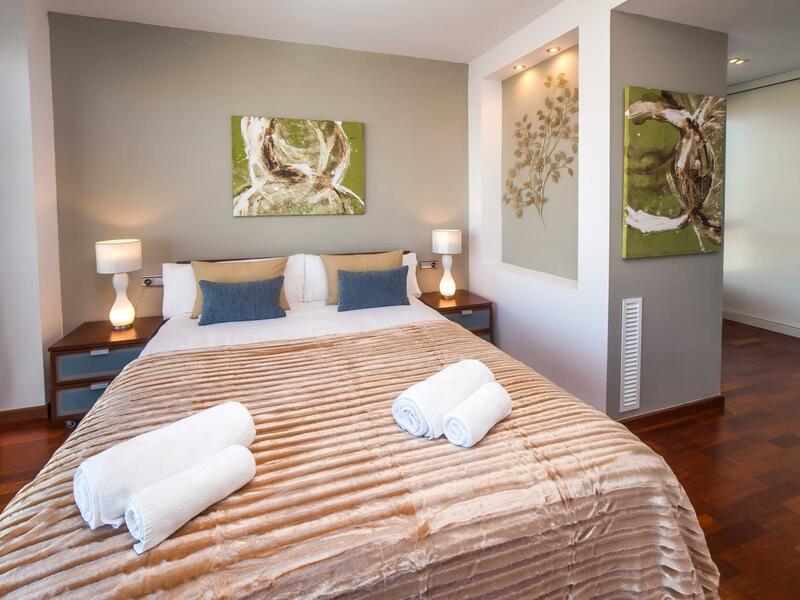 It's close to transit and it's a great place to stay if you have business in the Sant Marti. El departamento es perfecto y está muy bien equipado. El garage para el auto fue super cómodo. Tanto a la llegada como a la salida fuimos atendidos por David quien fue muy amable y paciente. La vue est exceptionnelle et l'appartement est proche de la mer. The apartment was perfect for us, just as described. 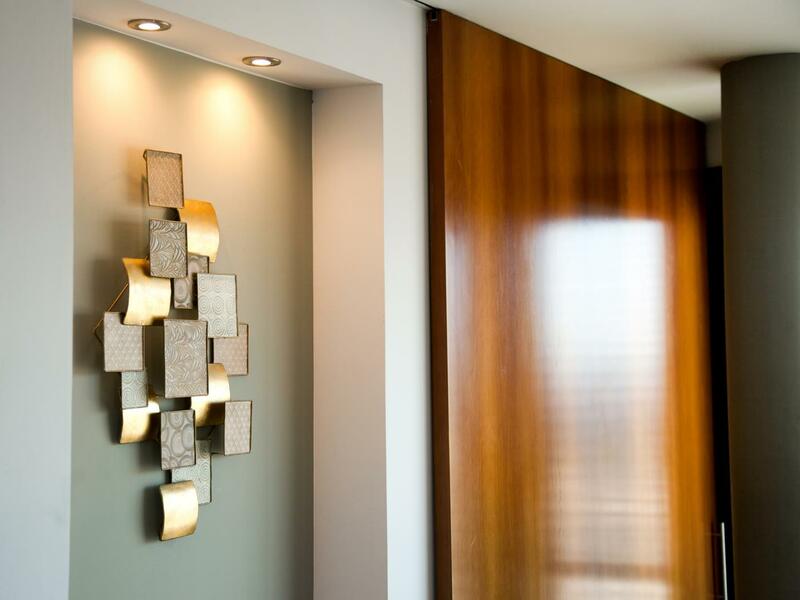 Everything was handled very professionally, and all of the people involved were helpful. This location is fantastic. We would definitely stay there again and do recommend! Czysty, komfortowy, dobrze wyposażony apartament. 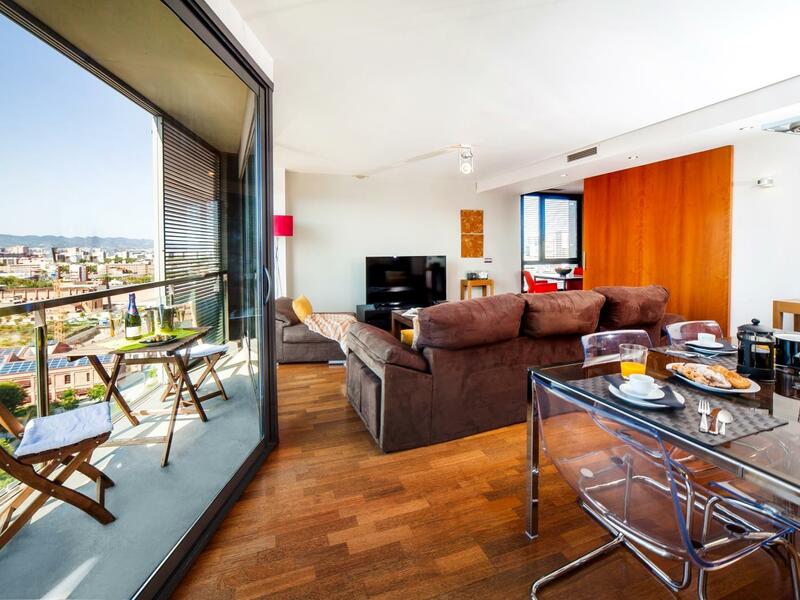 Absolutely amazing apartment with an incredible view and great links to the beach and other tourist attractions of Barcelona. 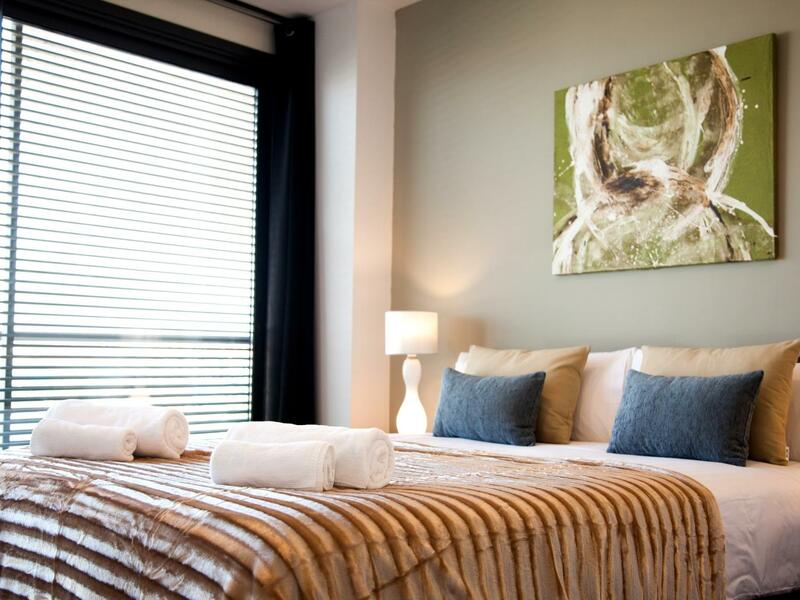 The apartment was very easy to find and the booking process was simple and easy. The apartment had two amazing balcony's with great views of the city and incredible sunsets. 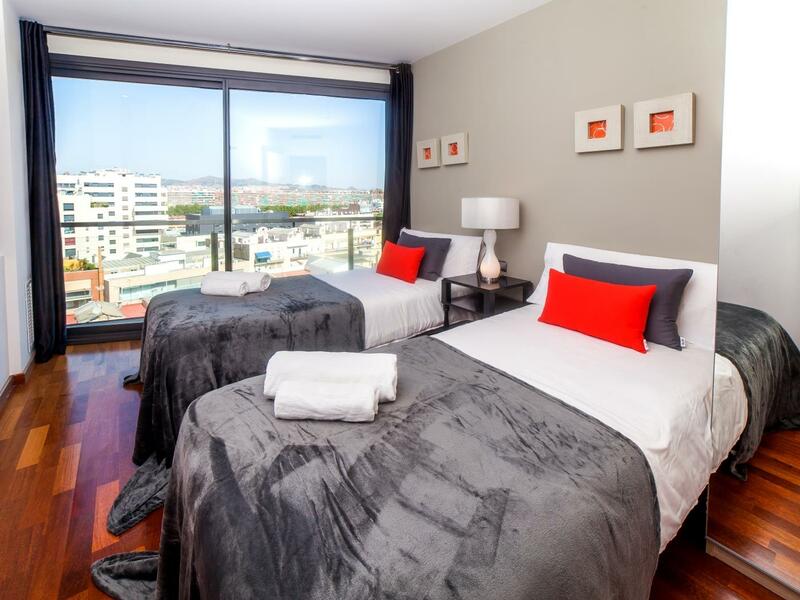 Could not recommend this apartment and the host enough for a great trip to Barcelona! Imanol and his team were very helpful. They were able to meet us when we arrived early and even provided some ideas as to where to go. The apartment is very much as advertised. It is beautiful and in an incredible area. If you're in Barcelona, this is a great spot! Fantastic apartment, finished to a high standard, showcasing great views, with everything you could need. This apartment was such a lovely place! It is spacious and comfortable. 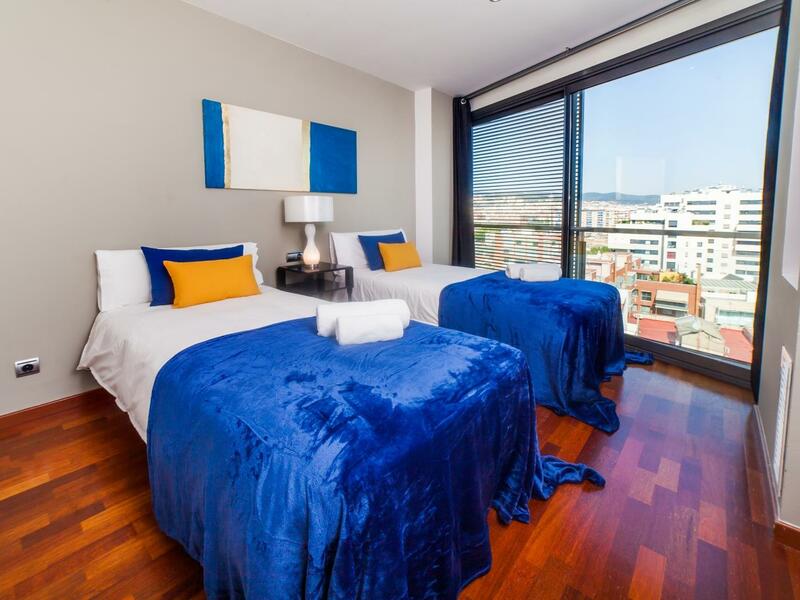 It is in a convenient location, with shops and metro stops within a walking distance to make traveling around the city extremely easy. The beach is around 15 mins walk with plenty of sightseeing along the way. We spent 5 wonderful days in Barcelona last May. The apartment was really fantastic. It was spacious, clean, luxurious and the view from the balcony was beautiful. We all were very happy to be there and we would highly recommend the apartment to all future guests. We were a group of 8 people between 20 and 24 years. 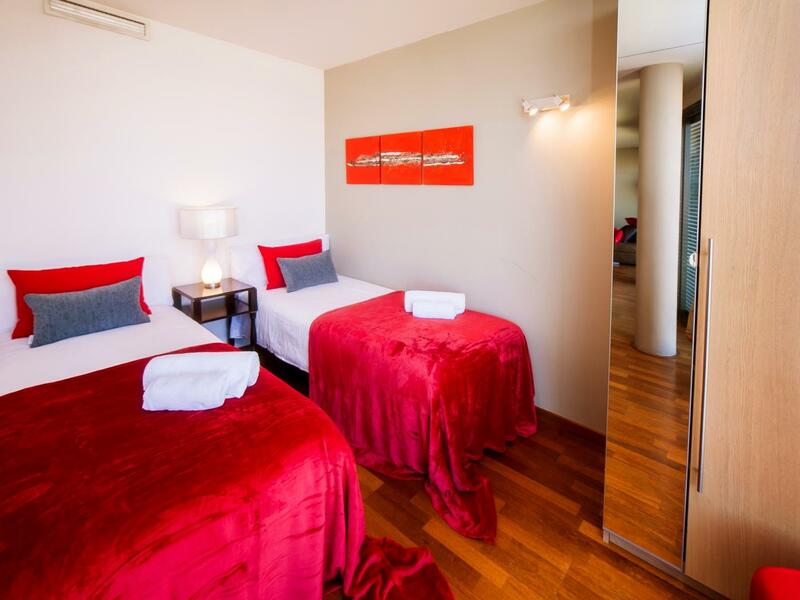 The apartment is spacious and very modern, was very clean and reflects the photos! The building is about 800 meters away from the sea and it is pretty quiet. The owner was very nice and told us where we could find a Shopping centre (5 mins by foot) and some delicious restaurants. There was also free WiFi. We would not hesitate to go there again - it was great! Nice and spacious apartment very close to metro station. The apartment was neat and organized. The staff working there was great, always willing to provide information and recommend us places to eat. The heating works very well and dryer was a plus! I would recommend this apartment for families or groups wanting to spend some time together.